Trump Says Putin Means It About Not Meddling: He Also Wants to Make Sure It Does Not Happen Again! US President Donald Trump (above). After speaking in camera with Putin on the sideline of the Asia Pacific Economic Cooperation summit meeting in Danang, Vietnam, Trump said that he had again asked Putin whether Russia meddled in the 2016 US Presidential Election, but his continued focus on the issue was insulting him. Although Trump faces attacks from critics due to perceived inaction, he has acted in a well-paced manner, taking calibrated steps to assure the defeat of any future election meddling, and make something positive out of a negative situation. Trump (left) and US National Security Adviser US Army Lieutenant General H.R. 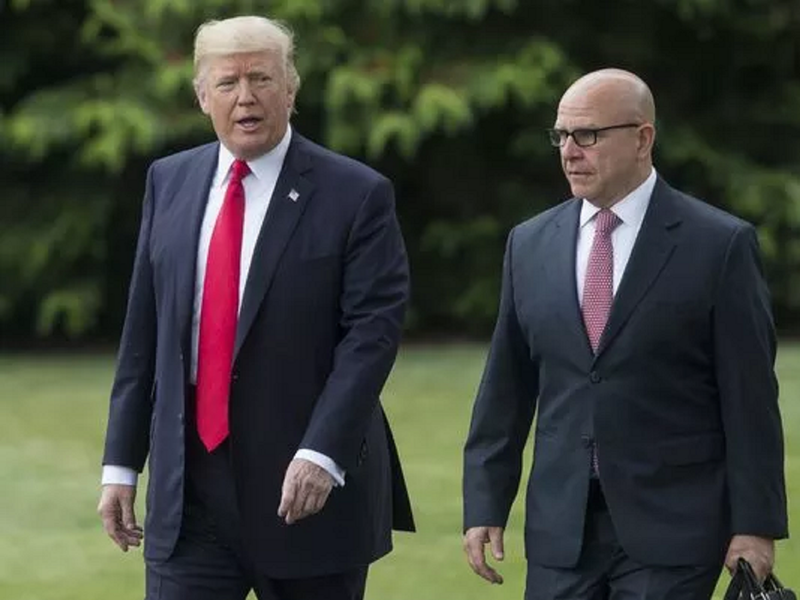 McMaster (right). Critics demand for Trump to continually reproach Putin over Russia’s meddling in the 2016 election. If anyone would feel rage over the idea of another country interfering with the US election process, it would be Trump. Yet, as a responsibility of being US President, Trump must suppress those emotions and consider Russia’s election meddling in a way that best serves US foreign policy. As a reminder of what the issue of Russia’s election meddling is all about, from June 2015 to November 2016, Russian hackers penetrated Democratic Party computers in the US, and gained access to the personal emails of Democratic officials, which in turn were distributed to the global media by WikiLeaks. Both the CIA and the FBI report the intrusions were intended to undermine the US election. Cyber gives Russia a usable strategic capability. If benefits from its use appear great enough, Moscow may want to risk additional attacks. Indeed, the US Intelligence Community concluded that Moscow will apply lessons learned from its “Putin-ordered campaign” directed at the 2016 US Presidential Election to future influence efforts worldwide, including against US allies and their election processes. The report of the January 16, 2017 US Office of the Director of National Intelligence entitled, “Assessing Russian Activities and Intentions in Recent US Election” presents the best publicized assessment by the US Intelligence Community of the Russian cyber attack during the 2016 US Presidential Election. It stated: “Moscow’s influence campaign followed a Russian messaging strategy that blends covert intelligence operations—such as cyber activity—with overt efforts by Russian Government agencies, state-funded media, third-party intermediaries, and paid social media users or “trolls.” Russia, like its Soviet predecessor, has a history of conducting covert influence campaigns focused on US presidential elections that have used intelligence officers and agents and press placements to disparage candidates perceived as hostile to the Kremlin. The English mathematician and philosopher Alfred North Whitehead stated: “The art of progress is to preserve order amid change and to preserve change amid order.” Trump is doing just that. Although Trump faces attacks from critics due to perceived inaction, he has acted in a well-paced manner, taking calibrated steps, to eliminate the possibility of any future Russian election meddling, and to make something positive out of an extraordinarily negative situation. Trump is aware that there are many lines of approach Russia can take to reach the US public. By examining recent actions by Trump, one can infer what he and his national security team have most likely deemed as “decisive points” to focus on in order to be most effective in impacting Russian behavior and reduce the possibility of future meddling. The following six points are very likely part of a suite of preventative measures employed by the administration. The proposal for a joint cyber security unit did not simply materialize from thin air. On the one hand, it likely stemmed from Trump’s experience as a negotiator, his gaining of the conversation with his national security team, and his consideration of all the “what ifs” possible. It was also developed more during an intense discussion between Trump and Putin on how to remit Russian cyber warfare programs directed at the US and perhaps similar US programs aimed at Russia. It may have been the product of brainstorming by the two leaders. Trump’s proposal was never supposed to serve as a form retribution against Russia for its intrusions into the US democratic process. Surely, it was not created to be a final solution to the threat of hacking US election. Immediately after the bilateral meeting in Germany, it was revealed that forming such a joint cyber security unit with Russia was prohibited under US law. Yet, although creating an actual cyber security unit was out of bounds, the concept of bringing US and Russian cyber experts together in some way to talk about some cyber matters was not. Trump’s likely aim with the proposal was to create a situation in which US and Russian officials were talking about hacking. Ostensibly, those conversations would create goodwill, perhaps stimulate a more open discussion about the issue, and promote honest talks about the issue among senior officials. In that way, the proposal would have served as a confidence building measure. Trump (right) and Russian President Vladimir Putin (left) in Hamburg. Trump does not intend to pummel Russia with unending waves of sanctions, vengeful behavior which would best match the incessant cries of “foul” and figurative grunts and groans from critics due to the hurt the election meddling caused them. There is a foolhardiness to pursuing something that will lead to nothing. Trump would prefer to deal with the root causes of anger in Putin’s mind that lead to a decision to undertake the operation in the first place. US has the ability to monitor activities of Russian Federation intelligence organizations operating on the ground in the US, to include: Sluzhba Vneshney Razvedki (Foreign Intelligence Service) or SVR; the Glavnoye Razvedyvatel’noye Upravleniye Generalnovo Shtaba (Main Intelligence Directorate of the General Staff-Military Intelligence) or GRU; and, the Federal’naya Sluzhba Bezopasnosti Rossiyskoy Federatsi (Russian Federation Federal Security Service) or FSB. Undoubtedly, Putin also well aware of this now. This capability was made public by the administration of US President Barack Obama in a June 23, 2017 Washington Post article that included a leaked account of that administration’s reaction to reports about ongoing Russian efforts to meddle in the 2016 US Presidential Election. That article indicated that Obama was in a dark mood over the intelligence findings about Russian activities. The approaching transfer of power gave urgency to his National Security Council’s deliberations on how to retaliate against Russia. By mid-December 2016, Obama’s National Security Adviser, Susan Rice, was quoted as saying to senior national security officials: “We’re not talking anymore. We’re acting.” A senior national security official at the time told the Washington Post that Rice challenged them go to the “max of their comfort zones.” Economic sanctions, originally aimed only at the GRU were expanded to include the FSB. Four Russian intelligence officials and three companies with links to those services were also named as targets. The Washington Post article, as an overt source to intelligences service worldwide, informed that the FBI had long lobbied to close two Russian compounds in the US–one in Maryland and another in New York–on the grounds that both were used for espionage and placed an enormous surveillance burden on the Bureau. The FBI was also responsible for generating a list of Russian operatives, that it had concluded, were working under diplomatic cover to expel, drawn from a roster the Bureau maintains of suspected Russian intelligence agents in the US. In the end, Rice submitted a plan to Obama calling for the seizure of both Russian facilities and the expulsion of 35 suspected spies. Obama signed off on the package and announced the punitive measures on December 29, 2016 while on vacation in Hawaii. Trump has undoubtedly increased FBI electronic and other technical monitoring and surveillance of Russian intelligence activities, and can increase it further. Interviews will invariably be conducted with senior leaders among Russian intelligence officers with official diplomatic cover. To the extent that it does not interfere with counterespionage operations, the FBI will conduct interviews with suspected Russian intelligence operatives working in the US with non-official cover. Ad connectendas amicitias, tenacissimum vinculum, est morum smilitudo. (For cementing friendship, resemblance of manners is the strongest tie.) One must try to live a life based on a strong moral foundation. In foreign policy and diplomacy there must be some confidence in, some foundation of trust, among opposing parties that they are both trying to do the right thing. Diplomacy will not succeed, and relations will not flourish, if that is not the case. After his bilateral meeting with Putin in Hamburg, Germany during the G-20 Economic Summit, Trump emphasized that he raised allegations of Russian interference in the 2016 US Presidential Election with Putin. Reuters reported on July 9, 2017 that Trump stated: “I strongly pressed President Putin twice about Russian meddling in our election. He vehemently denied it. I’ve already given my opinion…..” When Putin denied meddling, a US official at the time said that Trump expressed the view that both countries must agree to disagree on the issue and move on to other topics where they could work together. As mentioned earlier, after Trump spoke privately with Putin on the sideline of the Asia Pacific Economic Cooperation summit meeting in Danang, Vietnam, Trump revealed he again asked Putin whether Russia had meddled in the contest, and that he gotten the impression that the continued focus on the issue was insulting to Putin. When Trump would ask Putin about Russia’s election meddling, he would likely speak to Putin with un fil di voce, a reserved voice, but with a power behind it that allows it be discerned in the balcony. 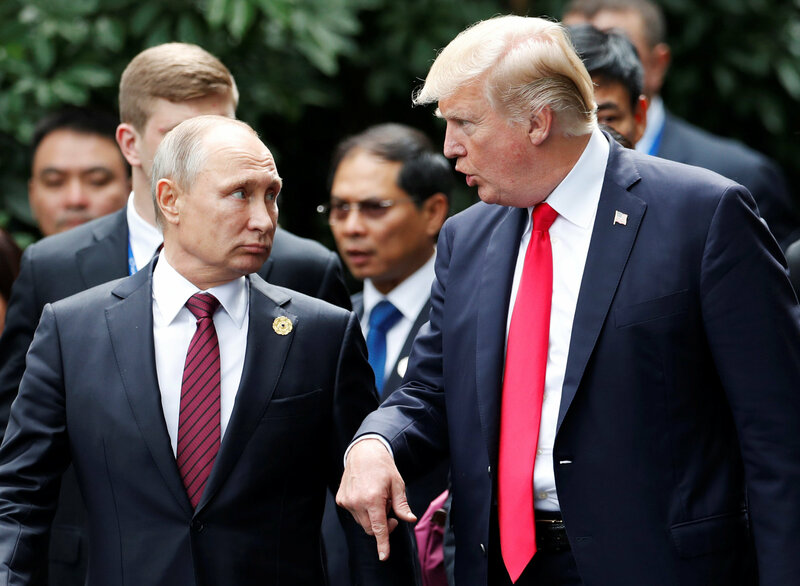 Trump raised contentious issues with Putin, not to confront but show Putin that there was a need for the two to confide in one another about urgent and important issues if relations between the two countries were to transform. In terms of positive actions, this was a maximum effort. Russian officials will normally vehemently deny launching cyber attacks. Russian officials almost never open up their covert intelligence operations. Putin has never publicly discussed them. Trump was undoubtedly advised of this fact by his national security team. Perhaps the best way to explain it all is to say that Putin’s denials are routine. Yet, among Trump’s critics, revelations about his response on Russian intelligence activities seems to overwhelm those who learn about it all. When Trump received Putin’s response, he was left with choices. Indeed, both he and Putin were aware of that. He could accept Putin’s denial, or create a hostile exchange by demanding he “tell the truth” as it is known in the US. Surely, there would be no positive or professional end to recreating the communication failures, diplomatic missteps, and delinquencies of the previous administration. Trump would most likely have stoked the same fires that led to a specious struggle of words between Obama and Putin and also ignited a miscalculated decision in Moscow to interfere with 2016 US Presidential Election which the US Intelligence Community assures took place. Actually, engaging in such actions would defy Trump’s own efforts to pull relations in a new direction and the action would best get described as counterintuitive. Trump has no intention of doing so. As the November 11, 2017 New York Times Trump said it was time to move past the issue so that the US and Russia could cooperate on confronting the nuclear threat from North Korea, solving the Syrian civil war and working together on Ukraine. 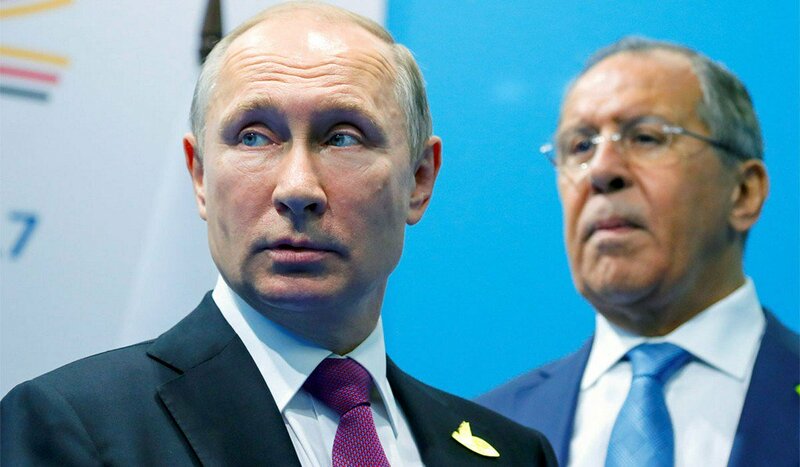 Putin (left) with Russian Federation Foreign Minister Sergei Lavrov (right). Russian officials will normally vehemently deny launching cyber attacks. Russian officials almost never open up their covert intelligence operations. Putin has never publicly discussed them. Trump was undoubtedly advised of this fact by his national security team. Perhaps the best way to explain it all is to say that Putin’s denials are routine. Putin’s contacts with the US have certainly not been about shutting the door. 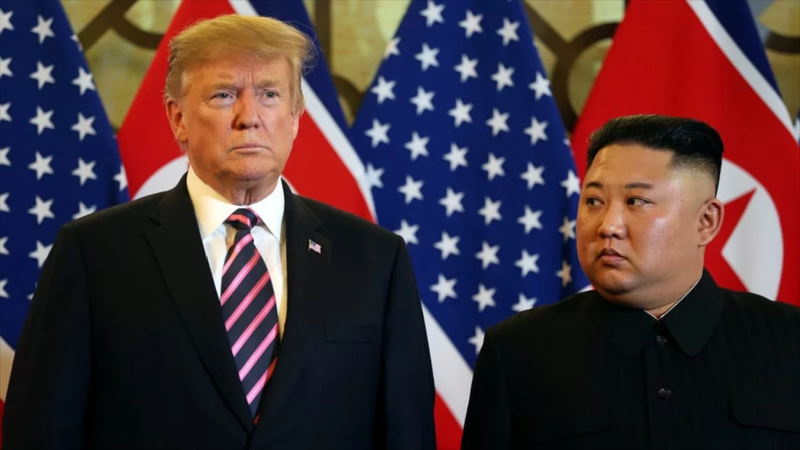 Yet, although he may very well have recognized opportunities to create a more positive relationship with the US, his senior advisers seem to be focusing upon the atmosphere of pure hatred and rejection propagated by the “counter-Trump milieu.” (In the US, many journalists, think tank scholars, other policy analysts, particularly former officials of the Obama administration, propagate a cult of ugliness directed at the US presidency. The mass of their combined efforts and the environment they create, is referred to by greatcharlie as the counter-Trump milieu.) They cannot help but recognize that there is an effort to separate Trump from the US public and create turmoil and frustration for him that Russia, for certain, does not have his hand in. They perhaps are suggesting to Putin that he should do nothing that might help Trump restore respect for the US presidency. A rationale for Putin advisers to take such a position is that it fits well with the idea of supporting their leader’s apparent desire of turning Russian into a simulacrum of the Soviet Union into more than a dream. It would accomplished through the capture of former Soviet republics that are now sovereign countries in Russia’s near abroad. The notion that Trump is a neophyte with regard to Washington politics may also be something they believe to be a tangible fact and perhaps even an advantage for Putin’s advisers to develop analyses of Trump’s thinking and action. 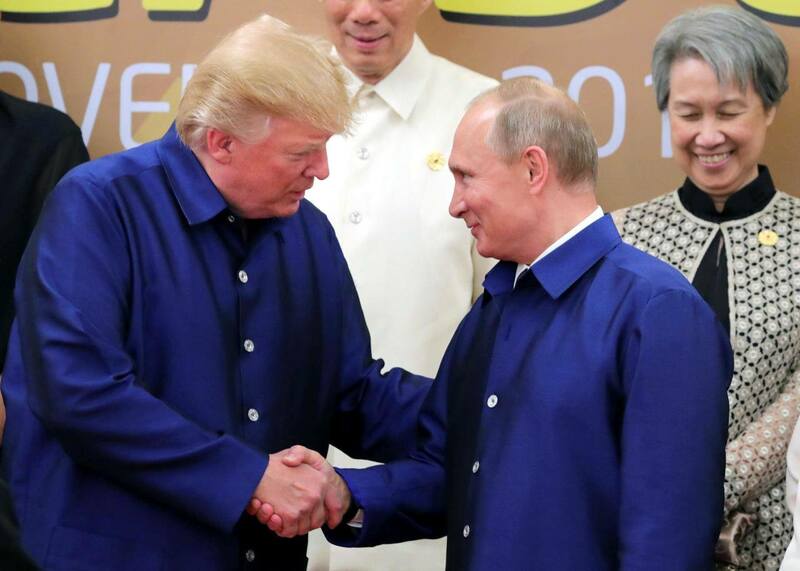 Trump (right) with Putin (left) in Danang. Trump understands that the true cure for the meddling problem and others is to develop a good relationship between Putin and himself and greatly improving relations between the US and Russia as a whole. Trump wants to work alongside certain countries, including Russia, to resolve urgent security issues such as North Korea, Syria, and Ukraine. Trump knows Putin has personal experience in attempting to interfere with nation elections of other countries. He presumably knows this not only through First Person, but also reports provided by the US Intelligence Community, knows Putin disfavors such efforts given what happened to his mentor Sobchak. 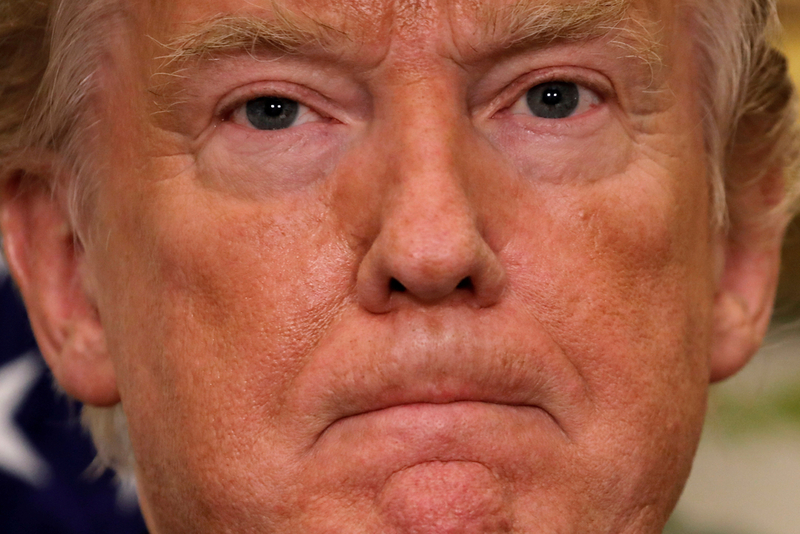 As mentioned earlier, Trump said, “Every time he sees me he says, ‘I didn’t do that,’ and I really believe that when he tells me that, he means it.” Trump added: “I think he is very insulted by it, which is not a good thing for our country.” There are pitfalls to relying on ones own moral barometer in the performance of diplomacy. Trump appears to have courageously taken that tact regarding Putin and the issue of Russia’s election meddling. Trump has not said that he agrees with Putin’s view, nor has he let Putin off the hook. He will not forget what transpired. Yet, by refusing to publicly reproach Putin for not being more forthcoming over the election meddling in the US when he questioned him, Trump demonstrated that he understands the tough situation Putin is in regarding the meddling, now well-exposed. It would appear that the covert operation of election meddling was supposedly crafted to be plausibly deniable, allowing and, perhaps under Russian codes, requiring Putin to gainsay its existence. Trump appears to be holding out hope that his decision to be tolerant of Putin’s response has appealed to Putin’s sense of honor. Indeed, he likely hopes that it will be a factor in future interactions with Putin. At the same time, however, Trump is actually cutting off Putin from possible equivocation and outright denials. Putin’s future actions would be gauged off of denials of interference. Many in US foreign policy circles have absolutely no faith Putin as an honest broker. Yet, Trump’s expectations appear to manifest his nature as a visionary, his sense of imagination. Along with the sense of expectation is an intuition that what is expected will be more vital than what exists. Trump has no intention of recreating the failures, delinquencies of the previous administration. There is no logical purpose in stoking the fires the led to a childlike struggle of words that also likely ignited an adversarial decision that led to an attempt to interfere with 2016 US Election which the US Intelligence Community has confirmed. Trump’s critics have not covered themselves in glory. Their performance, though overwhelming, has been disjointed. It is difficult to imagine how presidential historians will judge how critics’ hammered Trump over the manner in which he is handling Russia’s election meddling, and allegations that Trump worked with Putin to secure Russia’s assistance in winning the 2016 US Presidential Election. Bis interimitur qui suis armis perit. (He is doubly destroyed who perishes by his own arms.) Putin’s penchant for acting in that direction lead to his capture of territory in Georgia, capture of Crimea, and investment in Eastern Ukraine. Interestingly enough, Georgia and Ukraine are not NATO members, but in 2008 had been explicitly and publicly assured that they would be granted Membership Action Plans. By occupying those countries Putin has assured they would never join NATO in the near term. Indeed, no country will ever join NATO while being partly occupied by Russia. To that extent, part of Putin’s grand strategy entails halting NATO expansion while securing more territory in countries in its near abroad. The near abroad is what Moscow refers to as the territory surrounding Russia’s borders. Recall that Napoleon Bonaparte, in an effort to unite Europe under his rule, took an inexorable path to destruction. He became morally myopic. To that extent, as Victor Hugo stated: “Napoleon embarrassed God.” For Putin, now is a time for reflection and resolve. This may be the moment to genuinely improve Russia’s relations with the US. There are several bargaining chips of differing value to both Trump and Putin. Trump managed to become US president doing what he wanted to do, having truly dominant knowledge of the desires of the majority of the US public and overall US political environment. He knows what he wants and what he can really do. Cooperation on counterterrorism, ISIS, climate change, and poverty may serve as a bargaining chips to get agreements on other issues. However, Greater bargaining chips might include: the return of Russia properties in the US, reconstruction assistance in Syria, peace-enforcement in Syria, making the Group of 7 the Group of 8 again with inclusion of Russia, economic sanctions, closing sanction loopholes, and lifting restrictions on the Exxon-Rosneft agreement through an exemption. Some of these actions may not appear plausible and could have a deleterious effect on the sanctions regime against Russia over it actions in Ukraine and create an uproar among the Europeans. However, Trump undoubtedly believes bold action, when appropriate, may be the very thing to turn situations around, modify Russian behavior, and get relations moving forward. When presidential action could immediately resolve matters, those issues may be hashed out at the table or it could be agreed to allow for some additional consideration before giving a response. Trump must put “America First” but keep firmly in mind how his decisions and actions regarding Russia might impact European allies and partners. Given domestic political concerns, initial offerings from Putin may appear paltry. There is a real possibility that if he feels secure enough, Putin could offer much, particularly to loosen the US grip on Russia’s figurative economic throat. To date, a degree of good-faith bargaining and compromise between Washington and Moscow has occurred. There have been mutual peace offerings. However, refraining any interference with US elections cannot be part of any peace offering or any quid-pro-quo arrangement. Without any further inquiries about what exactly happened, Russia must stop engaging in such operations. If Russia crosses the line again, everything accomplished will be obliterated and all of the great possibilities will never be realized. Tragically, it would likely once again lock up the diplomatic process. Trump can assume that Putin knows this, too! 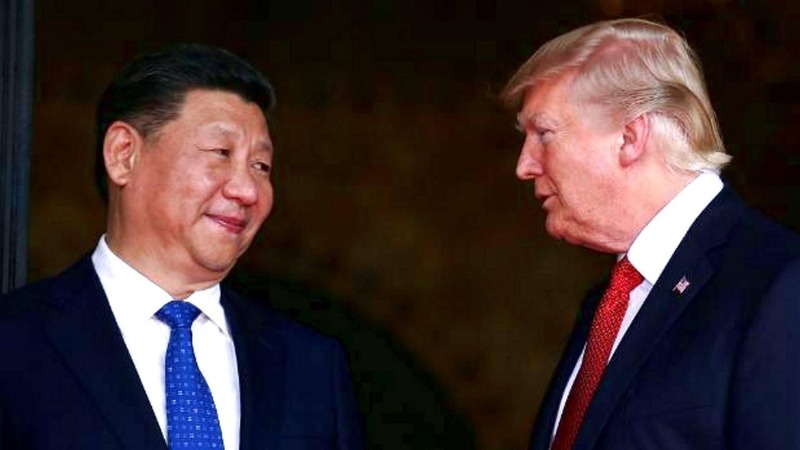 Trump (right) and Chinese President XI Jinping (left). On his recent foreign trip to Asia, Trump kindled or strengthened his relationships with the leaders of China, Japan, South Korea, Vietnam, and the Philippines and secured deals with their countries to improve trade the conditions of trade with them. He helped US companies arrange over $250 billion in business deals while in Beijing. For those longing for an end to the Obama administration and the many vicissitudes it faced on foreign policy, were heard shout to the effect of “Blessed be the Trump administration and health to all its parts.” However, many critics deemed Trump unfit for the president even before his election victory. The words “not presidential” were heard every time Trump spoke. Eventually, moves by Trump of any kind would elicit a range of reactions by those engaged in the broad, piquant, counter-Trump discourse. Custos morum. (Guardian of morals.) Some critics seem to believe that they are figurative hammers, designed to shape Trump into the instrument they want. While they may self-declare themselves repositories of the accumulated wisdom on US foreign policy, they are not. Moreover, they are not the stewards of US foreign policy. There other critics who apparently have found nothing desirable and everything loathsome about Trump. Oscillating, moving from one point to the other, critics of Trump have their own relentless logic. Whenever one of Trump’s efforts fail or whenever he makes a mistake, they were over the moon with joy. Short of pushing Trump out of office, it strikes one’s conscience to think that nothing would soothe them than to prescribe plunging Trump forevermore into the boiling cauldrons of Hell from the French playwright Mollière’s, École des femmes. Indeed, they seemed to have let their aggression toward Trump come alive inside of them. At times, admonitions and opprobrium expressed through all manner of writings, created the impression that some giant golem was struggling, fighting to escape their inner souls. What is truly problematic is the reality that critics may have infiltrated and despoiled the psyche of many in the US, perhaps may have even destroyed the possibility for some to have confidence in future US administrations, both Republican and Democratic. Most of Trump’s critics are individuals with advanced degrees, apt to be eloquent enough on key issues concerning the purported “Trump threat.” The US public is open to eloquence. Further, the precept of being innocent until proven guilty has been forcefully pushed aside in the US newsmedia with regard to all matters related to Trump. Hopefully, in the end, the truth will be revealed to those who are confused and bewildered by it all, both among general the public and Trump’s critics. Certainly there were many personal reasons for critics to harbor such strong, negative opinions of Trump and efforts against him. Their efforts have inflamed passions globally. The administration might explain that concerns expressed about Trump’s approach to the presidency were a manifestation of critics’ own struggles to accept the change from the traditional to modernity. The old is replaced by Trump’s new way of doing things. It has been said that some attacks on Trump are being used to cultivate critics’ emotions on: US policies, Obama’s departure, and Hillary Clinton’s election loss. There is the possibility that their varied attacks may just be projections of character flaws that critics see in themselves. Even more, there is the notion that Trump’s victory has caused them so much emotional harm that there is a desire to strike back, to take vengeance. That is perhaps the idea most worthy of examination. 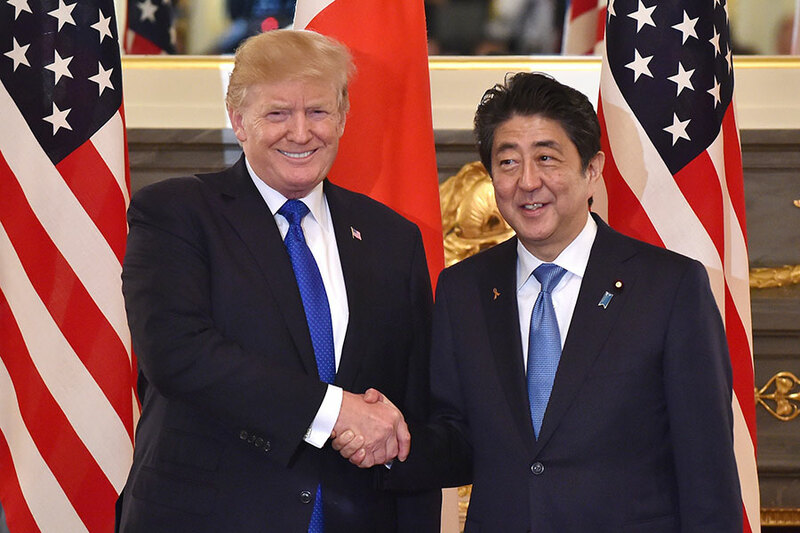 Trump (left) and Japanese Prime Minister Shinzō Abe (right). Through meetings, Trump and Abe have kindled a good relationship. Seldom have Trump’s critics taken public inventory of themselves, and considered whether their thinking and actions are appropriate or representative of their own notions of good character. It would appear that even the most noble among them have not considered the impact of their attacks against Trump on US foreign policy. There are many sources for the belief in moral responsibility. Many philosophy scholars today conclude that the deepest roots of our commitment to moral responsibility are found in powerful emotions. In The Stubborn System of Moral Responsibility (MIT Press, 2015), philosopher Bruce Waller at Youngstown State University explains this strike back emotion is one of the main sources of our strong belief in moral responsibility. Revenge can seem sweet, and retribution may bring satisfaction, but those feelings are often short-lived. Moreover, the emotional source of moral responsibility, the strike back desire, can create problems with regard to given other desired ends, such as future safety, reconciliation, and moral formation. Most psychotherapists would explain that vengefulness, itself, generally is the manifestation of a serious pathology. Vengeful desires and behavior can ensnare an individual in a vicious cycle of hatred and prevent any resolution of the original harmful experience. Most vengeful actions are based on the misconception that harm to the self can be undone or at least mitigated by harming the perpetrator, when, in fact, undoing of what has already been done is impossible. Ones injuries, pain, and emotional distress is never relieved or obviated. Rather, vengeful action could cause those hurts to smoulder. Sometimes, when the sense of moral justification is high, and the desire for vengeance becomes strong enough, individuals can become willing to sacrifice, violate laws, sustain injury, or even self-destruct, in order to punish a perpetrator. The only permanent solution is working through those feelings, as well as feelings of powerlessness. 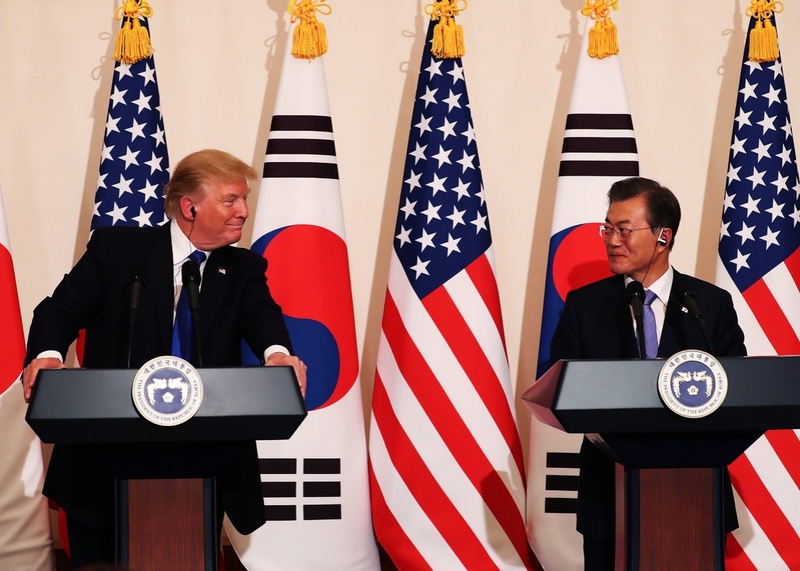 Trump (left) with South Korean President Moon Jae-in (right). Trump knows the truth about his actions. While it should naturally disappoint him to hear critics shed doubt of the legitimacy of his election victory, he welcomes all light to shine brightly upon his campaign and election for the truth is stands in his corner. Trump’s critics at times have offered insufficient, inconsistent, or incongruous data, leaving huge gaps. At the same time, their efforts have inflamed passions globally. Deciding that someone is responsible for an act, which is taken to be the conclusion of a judgment, is actually part of the process of assessing blame. If we start with a spontaneous negative reaction, then that can lead to hypothesizing that the source of the action is blameworthy and the start of an active desire to blame the perpetrator. That will shape ones interpretations of the available evidence to the extent that they support ones blame hypothesis. Evidence is highlighted that indicates negligence, recklessness, impure motives, or a faulty character. Any evidence that may contradict ones blame hypothesis is ignored. Rather than dispassionately judging whether someone is responsible, the spontaneous reaction of blameworthiness is validated. Trump’s critics display the reactive attitudes of resentment, indignation, blame, and moral anger toward: the results of the 2016 US Presidential Election; Trump as a person; and the litany of actions in which his campaign allegedly engaged to win the election. Subjecting Trump to reactive attitudes should only be viewed as righteous and appropriate if Trump was found through Congressional oversight or the justice system to have committed some offense. So far, such evidence does not exist. Critics are only able to use purely backward-looking grounds to say their judgments, attitudes, or treatments are justified. There is a real possibility that critics will never find their legs in their efforts against Trump. In 2014, a set of 5 studies by Cory Clark and his colleagues found that a key factor promoting belief in free will, is a fundamental desire to blame and hold others morally responsible for their wrongful behaviors. In this respect, the many investigations underway in the US Congress, the Office of the Special Counsel Robert Mueller, support the critics’ view that Trump is guilty and morally beneath them, and should be subjected to punishment. In the studies reported by Clark, evidence was found to suggest that greater belief in free will, is due to heightened punitive motivations. Interestingly, other researchers have found that ones moral evaluation of whether an action was deliberately done was impacted ones the like or dislike of the outcome of that action. Beyond that, there have also been studies that have found an “asymmetric understanding of the moral nature” of ones own actions and those of others, such that one judges ones own actions and motivations as morally superior to those of the average person. The Dutch philosopher Maureen Sie explained: “In cases of other people acting in morally wrong ways we tend to explain those wrongdoings in terms of the agent’s lack of virtue or morally bad character traits. We focus on those elements that allow us to blame agents for their moral wrongdoings. On the other hand, in cases where we ourselves act in morally reprehensible ways we tend to focus on exceptional elements of our situation, emphasizing the lack of room to do otherwise.” Seldom have Trump critics taken public inventory of themselves, and considered whether their thinking and actions are appropriate or representative of their notions of good character. It would appear that even the most noble among them have not considered the consequences of their attacks against Trump, particularly with regard to foreign policy. 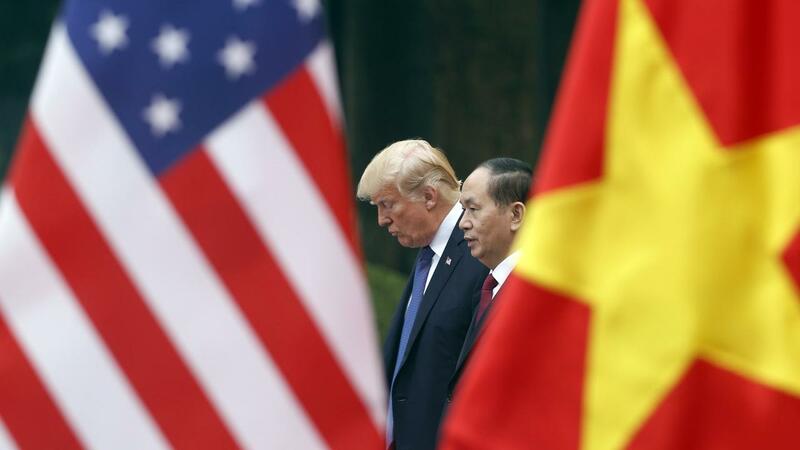 Trump (left) with Vietnamese President Tran Dai Quang (right) The New York Times reported that Trump did not answer a direct question about whether he believed Putin’s denials while traveling to Hanoi Asia Pacific Economic Cooperation summit meeting in Danang. Oddly, the newspaper later offered the surmisal that Trump was far more inclined to accept the Putin’s assertions than those of his own intelligence agencies. There must be more thoughtful assays in their stories on the US president. On November 21, 2017, just before leaving the Washington for the Thanksgiving holiday, Trump spoke with Putin by telephone for more than one hour. According to the White House, Trump and Putin affirmed their support for the Joint Statement of the United States and the Russian Federation issued at the Asia-Pacific Economic Cooperation Summit on November 11, 2017. Trump and Putin emphasized the importance of implementing UN Security Council Resolution 2254, and supporting the UN-led Geneva Process to peacefully resolve the Syrian civil war, end the humanitarian crisis, allow displaced Syrians to return home, and ensure the stability of a unified Syria free of malign intervention and terrorist safe havens. Both leaders also discussed how to implement a lasting peace in Ukraine, and the need to continue international pressure on North Korea to halt its nuclear weapon and missile programs. Additionally, the two presidents affirmed the importance of fighting terrorism together throughout the Middle East and Central Asia and agreed to explore ways to further cooperate in the fight against ISIS, al-Qaeda, the Taliban, and other terrorist organizations. True to the original wish Trump expressed for improving relations with Russia, his engagement with Putin moved beyond talking over again about Russia’s election meddling. It has turned toward positive communication and cooperation. 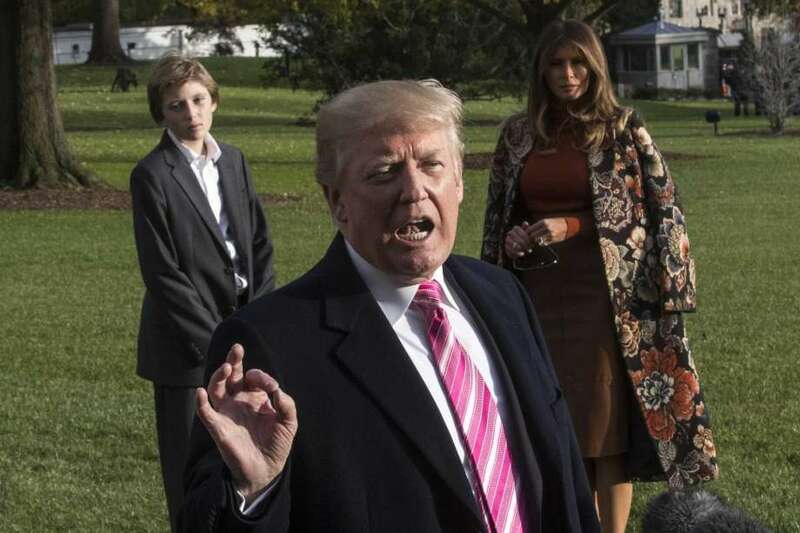 Trump with his family on the White House lawn (above). On November 21, 2017, just before leaving the Washington for the Thanksgiving holiday, Trump spoke with Putin by telephone for more than one hour. They discussed how US and Russia could cooperate on confronting the nuclear threat from North Korea, resolving the Syrian civil war, and working together on Ukraine. 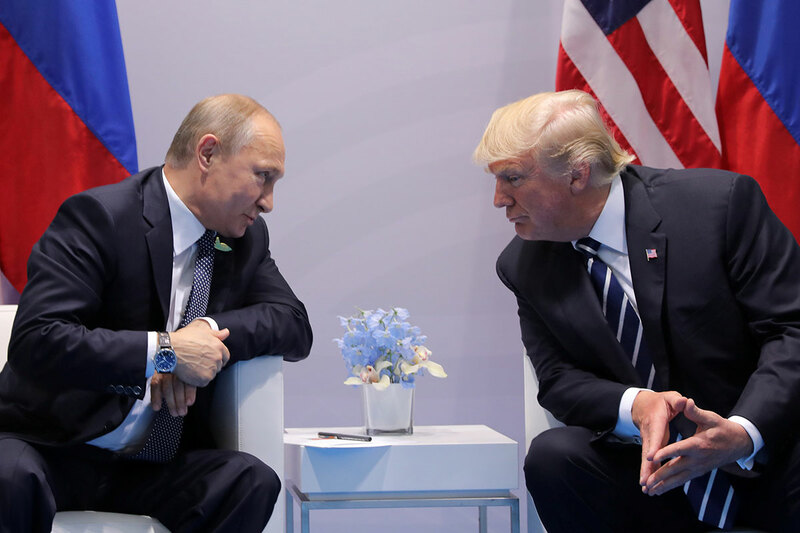 True to the wish he expressed for improving relations with Russia, Trump’s engagement with Putin has moved beyond Russia’s election meddling and is turning more toward cooperation. In Act III, Scene i of William Shakespeare’s Life of King Henry VIII, Queen Katherine is in her apartment when the arrival of Cardinal Wolsey and Cardinal Campeius is announced. Wolsey says he has not come to accuse her but to learn her thoughts on the dissolution of her marriage to King Henry and to offer advice. Katharine does not believe that they are on an honorable errand. The cardinals request to speak with her in a private room. However, Katherine lets them know that her the conscience is clear, and she has no problem speaking about the matter in a public room. Katherine states: “Speak it here: There’s nothing I have done yet, o’ my conscience, Deserves a corner: would all other women Could speak this with as free a soul as I do! My lords, I care not, so much I am happy Above a number, if my actions Were tried by every tongue, every eye saw ’em, Envy and base opinion set against ’em, I know my life so even. If your business Seek me out, and that way I am wife in, Out with it boldly: truth loves open dealing. Trump knows the truth about his actions. While it should naturally disappoint him to hear critics shed doubt of the legitimacy of his election victory, he welcomes all light to shine brightly upon his campaign and election for the truth is stands in his corner. Trump’s critics have not covered themselves in glory. Their performance, though overwhelming, has been disjointed. They offer insufficient, inconsistent, or incongruous data, leaving huge gaps. It is difficult to imagine how presidential historians will judge how critics’ hammered Trump over the manner in which he is handling Russia’s election meddling, and allegations that Trump worked with Putin to secure Russia’s assistance in winning the 2016 US Presidential Election. As their attacks take flights of fancy in the face of a contradictory reality, the critics will likely reduce themselves to nothing more than supernumeraries in this drama. One may disagree with the hypothesized impact of the strike back emotion on the attitudes and behavior of critics. Yet, one still can extrapolate from that much that could be useful in understanding the actions of Trump’s critics and in interpreting what impels their efforts. For those with a bent against Trump, it is not too late to modify their efforts. Critics may be able get from where they are with regard to Trump to where they need to be. There must be more thoughtful assays and greater balance in their examinations of the US president. Pride and ego must be subdued. They must subjugate lower passions to a higher reality. Gloriosum est iniurias oblivisci. (It is glorious to forget the injustice.) Trump has not dismissed the Russian election meddling issue. He has not been delinquent on it. Trump is doing his job. He has been quietly taking calibrated steps to make something positive out of an extraordinarily negative situation. Many of those steps can be discerned. Due in part to the election meddling, Trump’s relationship with Putin is not yet ready to move past its fledgling stage and become cemented. That is perhaps one of the more apparent consequences of the decision in Moscow to interfere. Any belief that Trump’s decision to move on from election meddling in diplomatic talks at least resembles an aggressive display of passivism could not be further from the truth. Trump is unthreatened, and unmoved by notions proffered about Putin to the effect that he serves all things evil. Putin’s cravings for power and territory could reassert themselves at any moment. If Putin’s ultimate goal is to receive payment in full for a debt he says NATO has owed Russia for nearly three decades and to have the US submit to his will, Trump will not allow that to happen. It is not completely certain, perhaps even a bit unlikely, that Trump has completely forgiven Putin. To forgive is not easy. It is not simple. There is no reason to forgive anyone unless it can be done with enough humility to inspire humility in the one who is forgiven. That is essentially what Trump is hoping for. Putin once mentioned God in discussing how He built his life. Everyone is indebted to God, none of us has enough to pay the debt. God is willing to forgive the debt, but the condition of the absolution is that everyone grant it to those around us.